We have returned to work this week under the sorrowful shadow of a great and unjust tragedy. On behalf of all E tū members I express my respect and support to all of our many Muslim and migrant members and your families. We are proud of what you bring to your union and your country. Our Christchurch members and your families feel, understandably, that you have been kicked in the guts again. Our Christchurch union staff and a number of elected delegates supported each other in lockdown at our Cashel St office into Friday evening while the situation unfolded and stabilised. We have staff and members who have been directly affected by this terrorist atrocity. 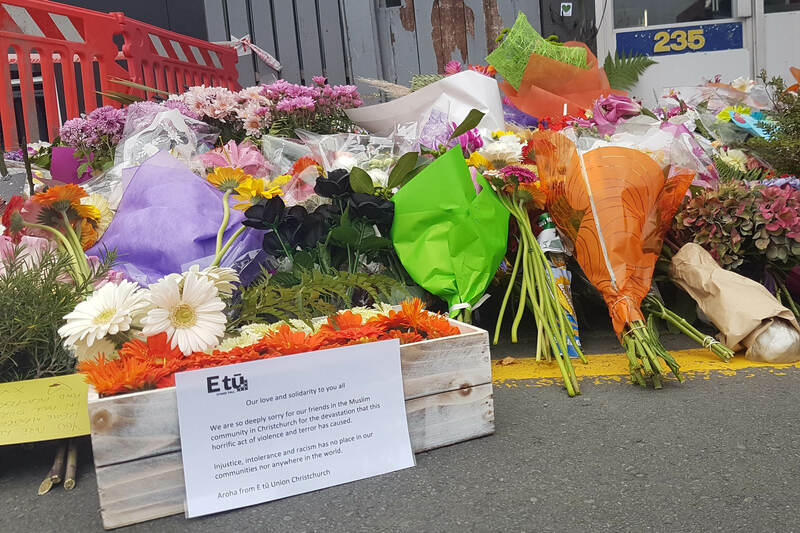 I would like to thank our E tū members at the hospitals that have been working around the clock to make sure the victims get the best care possible. This includes security, orderlies, cleaners, food service workers and trade staff. I believe New Zealanders have a keen collective sense of respect, tolerance, dignity and a fair-go for all and this has really shone through in our nations response over recent days. I have received a huge number of messages of support from across the global union movement, expressing the solidarity of working people across the world. We mourn with our fellow Kiwis who have lost their loved ones. Our union can play a key role in assisting members over the next period. We have already started assisting with public rallies during the weekend and that will continue. Please click here for some more information from us that I hope you find helpful.